Mark is a Certified Professional Ergonomist (CPE). He was the 85th person to be certified in ergonomics and human factors by the Board of Certified Professional Ergonomists. Mark has worked extensively on projects to improve human performance and reduce human errors. 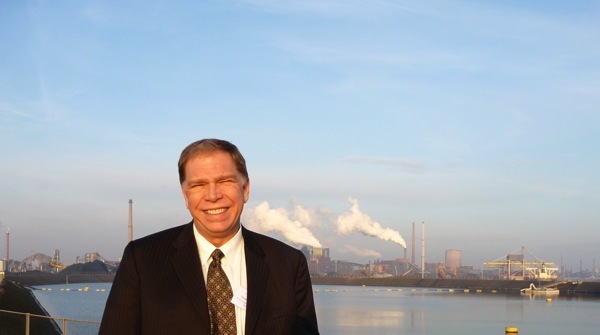 His Masters Degree research at the University of Illinois was focused on the proper roles of operators and automation for the next generation of nuclear power plants (human factors function allocation). Before starting System Improvements, he worked on projects to improve aspects of human performance including procedures usability and usage, and operator, maintenance, and technical training. He also developed systems for managing performance improvement in a resource limited environment. He used his human factors knowledge and experience to build into the TapRooT® System the ability to analyze and fix human performance/human behavior issues. Mark was in Admiral Rickover’s Nuclear Navy (a High Reliability Organization). Mark has studied high reliability organizations. But Mark has one major advantage over most of those who do academic research and speak about high reliability organizations … He has worked in a high reliability organization – the Nuclear Navy (the original high reliability organization). Therefore, he knows what works, why it works, and what doesn’t work BECAUSE HE HAS BEEN THERE. He understands Admiral Rickover’s management systems and practical methods to guard against normalization of deviation. Mark has a unique understanding of process safety. Mark has developed trending techniques for infrequently occurring safety and quality data. Mark used the work of statistical experts Dr. Donald Wheeler, Dr. Walter Shewhart, and W. Edwards Deming to develop techniques to find statistically valid trends of infrequently occurring accident data. Mark is working on a new book about performance measurement and trending that will be published in 2017. Watch for the next trending course based on his work being held prior to the 2018 Global TapRooT® Summit. In his spare time between working for high reliability organizations (the Nuclear Navy and Du Pont) and leading System Improvements, Mark designed and built roads (driving a bulldozer, track loader, excavator, and dump trucks), produced hardwood lumber from trees, and helped design two houses. While working in college getting his BS in Electrical Engineering, he was a field supervisor (in actual agricultural fields) and a cable TV installation and repair man. While still in high school, Mark worked in agricultural jobs, construction, retail, and ran his own lawn mowing and landscape business. That’s a little more about the lessor known facts about Mark’s experience and expertise. If you have questions for Mark or would like him to consult with you about your improvement efforts, contact him at this LINK, or call 865-539-2139.